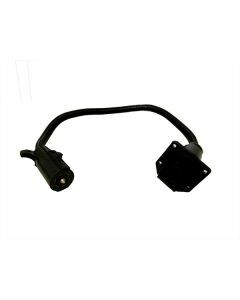 No-Splice Wire Harness for use with Slide-In Truck/Campers or 5th Wheels. Use these pigtail extensions when you install any hitch extender. 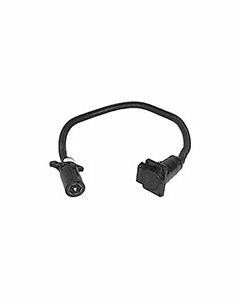 They provide an extension from the 7-way connector on your bumper to the trailer 7-way connector. It's needed when you have a camper on the truck and are using a hitch extender. Easy, one-minute installation. Comes with a 90-day warranty and is proudly made in the USA. 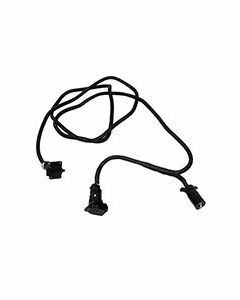 This 3-way, no-splice, truck-to-camper wire harness is designed for use with our SuperTruss Extension or other extensions to plug into your existing rear 7-way RV plug. 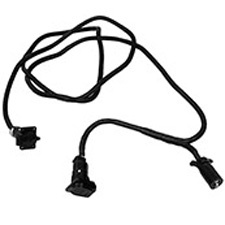 Leaving two open connectors, one extending up to your truck and one for towing your trailer.